Rozelaar, Angie. Very Good. Sewn binding. Cloth over boards. 40 p. Contains: Illustrations. Intended for a juvenile audience. Porcupine and Moose come to enjoy Rabbit's big day, but everything goes south when impulsive Moose loses control of his appetite! 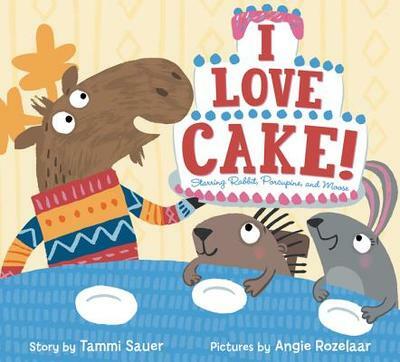 With hilarious bits of dialogue throughout, I Love Cake! is not only a dynamic read-aloud, it works as an inspiration for a short play.